The Jane B. Gearhart Full Circle Food Pantry was established by the Volunteer Action Center in February 2011 as a student-run emergency food assistance program. We strive to serve our clients with well balanced meals through non-perishables and fresh produce from our own garden. At Full Circle, we are dedicated to nourishing bodies, empowering minds, and creating a community of compassion. WE serve anyone with a U of A or UAMS ID: students, staff, and faculty, as well as temporary and hourly employees. At each visit we provide a three day temporary supply of groceries and personal care item for the entire household. Clients will never need to show proof of need, just a U of A or UAMS ID. Full Circle is operated by a board of nine student directors who manage weekly volunteers. Everything we do is made possible by student volunteers who commit to serving one and a half to two-hour shifts weekly for a semester. Volunteers greet clients, fill orders, stock donations, etc. 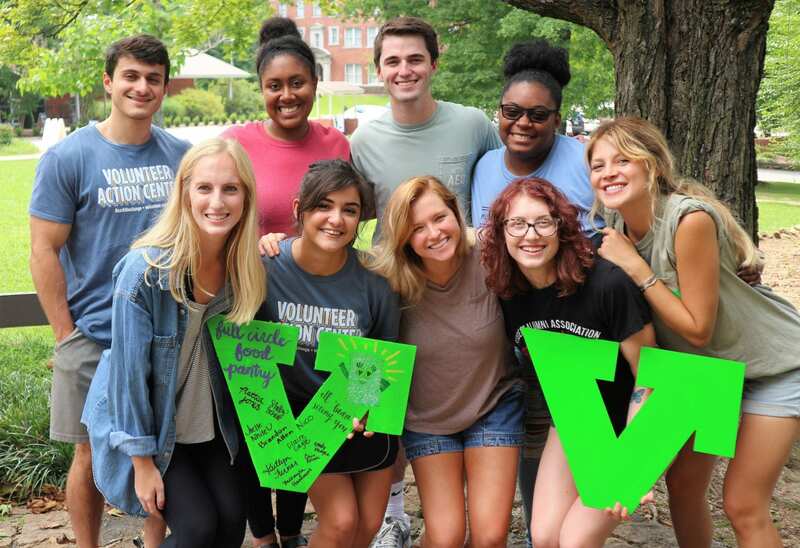 Volunteer applications are available during the first week of each semester. If your organization is interested in hosting a food drive to benefit the Jane B. Gearhart Full Circle Food Pantry, please fill the food drive request form. Once you’ve filled out the questionnaire, our Food Drive Coordinator (fcdrives@uark.edu) will contact you to follow up with more information. Thank you for your continued support! Data Leaders, Communications Leaders, Full Circle Express Volunteers, Garden Volunteers, Helping Hands, and General Pantry Volunteers. If you are interested in one of these positions, check service.uark.edu for more info.